Around twice a month, Harry Chan puts on his wetsuit and dives to the bottom of the seabed around Hong Kong. At 65 years old, it is a therapeutic ritual that he has persisted with for over five years. But rather than going in search of marine life, he is looking for another invasive species – rubbish. Volunteer clean-up diver Harry Chan. Photo: Harry Chan. The sea around Hong Kong is awash with trash. Beaches littered with waste are a common sight and discarded plastic bottles can be seen bobbing along coastlines. Nowhere is this more apparent than in Aberdeen Harbour, where a flotilla of rubbish can occasionally be spotted drifting among private yachts. Chan has taken matters into his own hands, arming himself with a bag and pair of scissors against the evergrowing behemoth. 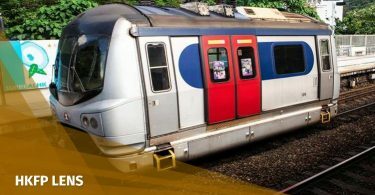 “No matter how much we complain, we are creating the problem,” he told HKFP. According to the Environmental Protection Department, Hong Kong produces a large waste load when compared to similar cities. With over seven million people living in one of the most densely populated areas in the world, nearly 6,000 tonnes of solid waste were disposed of at landfills in 2016. 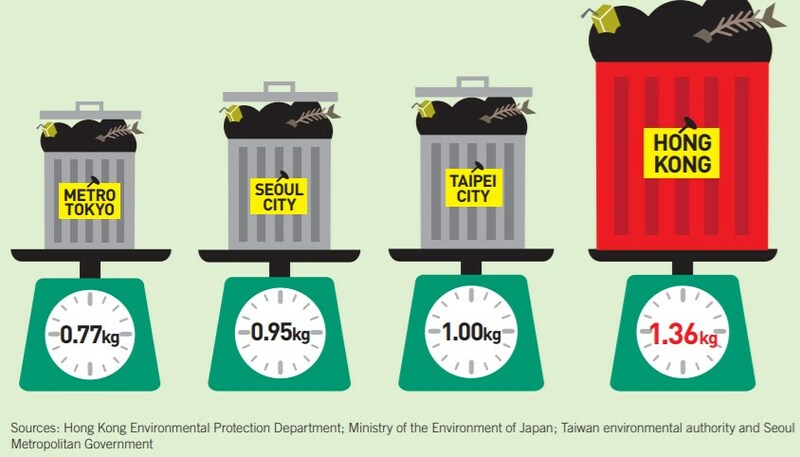 1.36 kilograms of domestic waste is generated daily per capita, compared to 1 kilogram in Taipei City and 0.77 kilograms in Tokyo. Daily domestic waste generation rates per capita compared. Photo: GovHK. 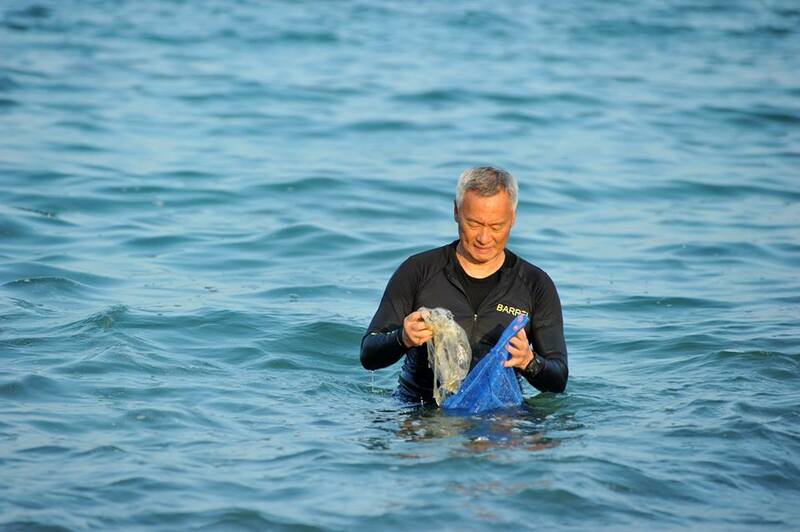 A diver since 1989, Chan told HKFP that he was spurred into action by the sight of cheap ghost nets tangled on reefs, which he said are discarded by fisherman and pose a safety hazard to marine life or swimmers who get tangled in them. This humble undertaking has come at a cost. Chan said that most of his savings have been spent on cleanup operations, which requires renting boats and equipment for a team of volunteers who spend their weekends wading through waste left behind by fishing boats and junk boat partygoers. 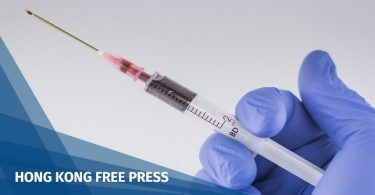 But this hasn’t shaken his resolve: “I want to contribute back to Hong Kong society and inspire the younger generation to take action,” he said. Aberdeen Harbour, October 2017. Photo: David Hopley via Facebook. Chan is not alone. 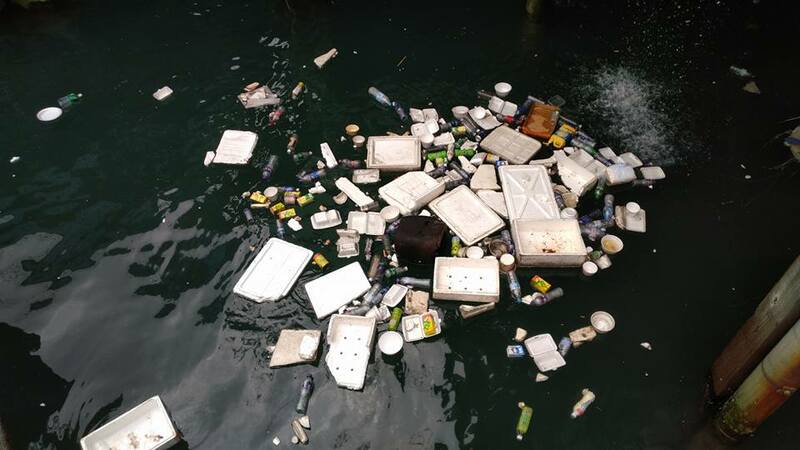 Several community action groups sprang up in response to an unprecedented amount of trash in Aberdeen Harbour in 2016, which Save Aberdeen Harbour Alliance said was among the most serious instances of marine debris on Hong Kong shores and beaches in memory. The first attempt to remove the waste was made that year at a Fish for Trash event, where the group said it took four to five hours to dispose of several tonnes of refuse. But despite multiple cleanups, the trash kept reappearing. These cheap polystyrene boxes are used to store goods at the Aberdeen Fish Market and often get carried off into the sea by the wind. And mixed waste from nearby boat repair yards is also said to spill into the water. In a further blow to environmental efforts, a video emerged earlier this month of a government worker throwing bags of trash into the harbour. As another layer of refuse began to coat the surface of the water only a few months after the initial cleanup, it became clear that the trash was a symptom of a wider problem. 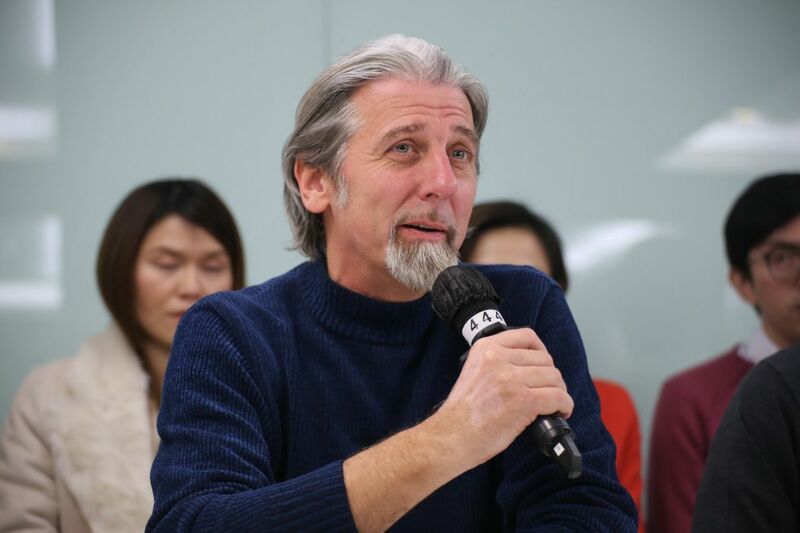 Roz Keep from Living Lamma, a community group based on Lamma Island, also said that – at times – it seems as though nothing has changed since the launch of the Aberdeen Harbour campaign two years ago: “It’s like we never started,” she told HKFP. But a spokesperson for the Environmental Protection Department said that government measures are being taken to engage the public: “To promote the message of keeping the Aberdeen Typhoon Shelter clean, the Marine Department conducts monthly visits there and distributes leaflets to educate the public and encourage reporting of marine littering for their follow-up prosecution,” they told HKFP. In 2017, the Marine Department – one of five bodies in a working group which enforces penalties for littering – recorded a total of 16 cases prosecuted cases for marine littering. Although the government said that it has invested in eco-education, green groups say that little progress has been made with changing public attitudes towards water pollution. Southern District Councillor Paul Zimmerman has been an active member of the cleanup community for the past two years and campaigned for better disposal of polystyrene boxes at the fish market. He said that public attitudes towards waste disposal are a major contributor to marine pollution: “The other items we find in the water are fast food containers, so lunch boxes and cup noodle containers. 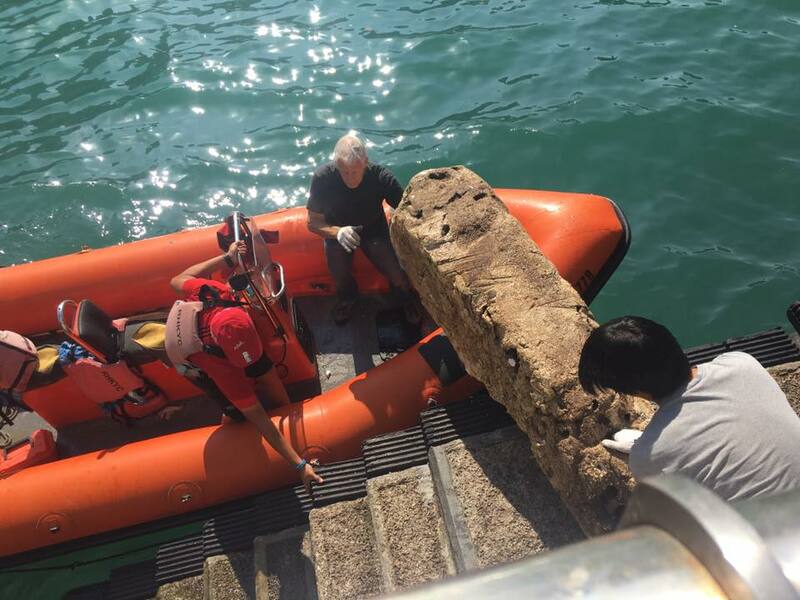 The source of that is extremely straight-forward, it’s the people that work on the vessels in Aberdeen Harbour, they finish their lunch, then chuck it,” he told HKFP. An estimated 4.8 to 12.7 million tonnes of plastic enter the ocean globally every year due to littering. By 2025, the figure is expected to rise to 28 million tonnes unless action is taken. 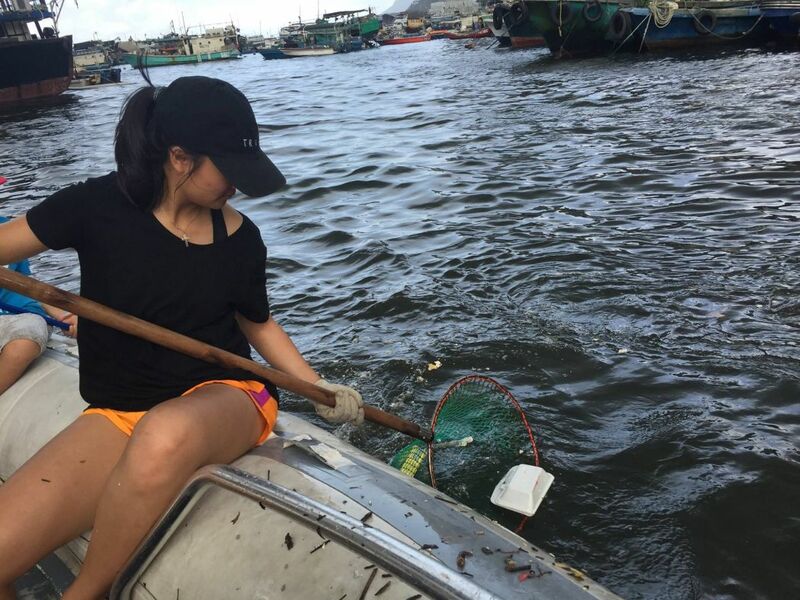 The Marine Department has hired a cleaning contractor to deploy a scavenging fleet of eight vessels tasked with cleaning up floating refuse every day. These vessels scour the ocean and pick up trash en masse: “[We] coordinate regular, in-depth cleanup operations to deal with trapped refuse in hidden locations. 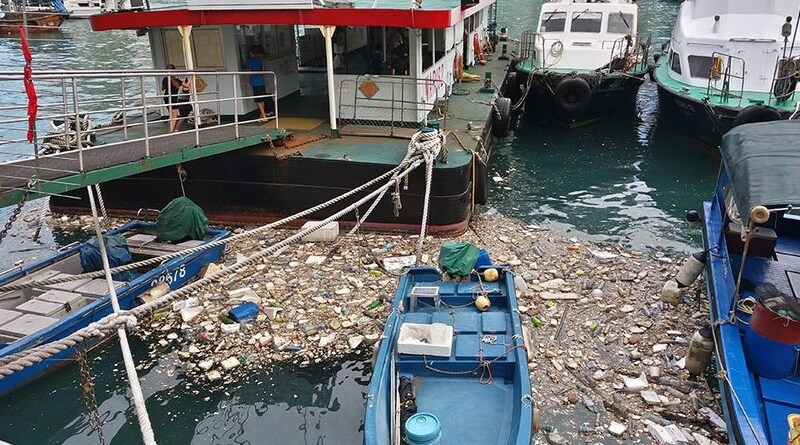 The contractor also collects domestic refuse from vessels moored at the shelter twice daily,” they told HKFP. But de Changy said that these boats are ineffective at moving the waste: “Most of it falls back into the sea,” she said. Volunteers remove an unidentified floating object from Aberdeen Harbour. December 2016. Photo: The First Penguins. Tracey Read from NGO Plastic Free Seas said that cleanup operations encourage others to take action: “We won’t fix this problem by cleaning up the mess, but it is a very useful tool for highlighting the problem and an opportunity to mobilise the stakeholders and push for real solutions,” she told HKFP. June 2017. Photo: Save Aberdeen Harbour Alliance via Facebook. As Chan prepares for another dive this month, he remains hopeful about the future:”I’m not interested in politics or asking for sponsorship. I’m just happy to contribute to society and give thanks to the taxpayer,” he said, as a smile spread across his face. Save Aberdeen Harbour will be holding a Fish for Trash event on July 29 2018.